There are a few things better than meat on a stick, and porcupine on a stick is a true treat! 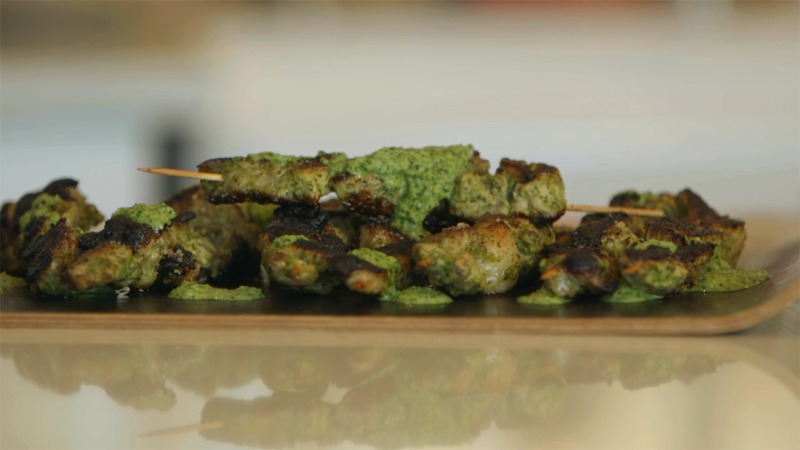 With kebabs originating in the Middle East, chimichurri coming from South America and our porcupine coming from the woods of Canada this really is a worldly dish. • Blend all ingredients in blender until smooth. • Store in fridge for up to a week. • Marinate cubed porcupine in chimmiccuri in the fridge overnight. • Skewer on metal or soaked wooden skewers. • BBQ over a medium heat until meat is cooked through – unlike some game porcupine must be fully cooked. • Serve kebabs with chimmichurri poured over or for dipping.